In 2015–16, apple and pear production was valued at $537 million (LVP). The total planted area for apples is 9,375 hectares and 3,175 hectares for pears. There are approximately 550 commercial apple and/or pear grower businesses in Australia. All states produce apples, although Victoria is the largest producer of apples and pears. In Victoria, over 45 per cent of Australia’s apples and 90 per cent of pears are produced. The major production areas include the Goulburn Valley, Gippsland, Yarra Valley and the Mornington Peninsula in Victoria; Stanthorpe in Queensland; Batlow and Orange in NSW; the Huon Valley and Tamar Valley in Tasmania; the Adelaide Hills in SA; and Donnybrook, Manjimup and the Perth Hills in WA. The main apples produced are Pink Lady™, Gala, Fuji and Granny Smith. 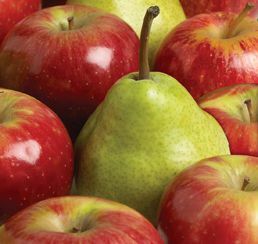 A number of newer club apple varieties such as Jazz™, Kanzi™ and Bravo™ have been increasing in production recently. Packham and Williams are the main pear varieties. Most production is consumed domestically with less than five per cent exported to the premium markets of the United Kingdom and Europe and the markets of south east Asia. 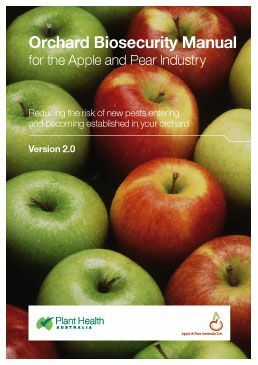 The apple and pear industry is covered by version 3.0 of the apple and pear biosecurity plan and the Orchard Biosecurity Manual for the Apple and Pear Industry Version 2.0. 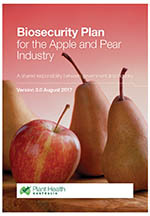 Biosecurity planning provides a mechanism for the apple and pear industry, government and other relevant stakeholders to assess current biosecurity practices and future biosecurity needs. Planning identifies procedures that can be put in place to reduce the chance of pests reaching our borders or minimise the impact if a pest incursion occurs. The Orchard Biosecurity Manual for the Apple and Pear Industry contains information to help producers to implement biosecurity on-farm. Manuals usually contain an overview of biosecurity, fact sheets to identify the high priority pests of a crop, tips on crop management, and how to manage people, vehicles and equipment to minimise biosecurity risks. Manuals also contain a biosecurity self-assessment list, and templates to record pest surveillance records and visitors. The following is a list of high priority exotic pests of apples and pears. 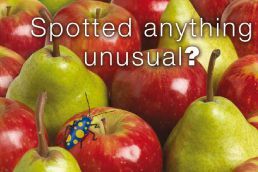 These pests were identified during the development of the Biosecurity Plan for the Apple and Pear Industry in consultation with industry, government and scientists. They have been assessed as high priority pests based on their potential to enter, establish, and spread in Australia (eg environmental factors, host range, vectors) and the cost to industry of control measures. The following is a list of documents for other exotic and endemic pests of the apple and pear industry. Please note that this is not a complete list of pests: rather it includes pests for which documents exist in the Pest Information Document Database. Some of the documents presented here are not tailored to the apple and pear industry and are included for information only.